At Falmouth Dental Associates, we deliver on our claim to provide comprehensive family dentistry, restoring both esthetics and function. Falmouth Dental Associates excels at the art — and science — of creating a stunning full mouth reconstruction. With a discerning eye, our experienced, multi-specialty dentists perform a full mouth reconstruction with a combination of treatments, such as porcelain veneers, dental bonding, laser tooth whitening, dental implants, or porcelain crowns. They offer superior, natural-looking restorations that are almost impossible to distinguish from your own teeth. Thanks to Falmouth Dental Associates’ exceptional skill and training, our dentists create an ideal relationship between your teeth, bone, gum, and muscles to ensure the proper bite when your full mouth reconstruction is completed. And, because all of the Falmouth Dental Associates dentists and specialists work in the same practice, you can experience the convenience of one-stop dentistry and coordinated care. If you’ve neglected your teeth over the years, had various dentists try to fix ongoing dental problems, or have crowded, badly aligned, or aging teeth, it’s time to consider a full mouth reconstruction and restoration to bring back your bright smile. 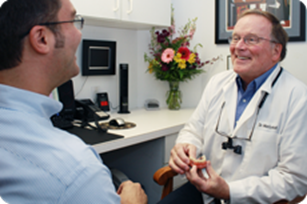 Falmouth Dental Associates will thoroughly assess your mouth and work with you to develop a plan to repair or restore your teeth. Contact us today to find out what a full mouth restoration could do for your smile.